Merry Christmas to My Xanga/WordPress Friends! Mom has generously provided a lady to help with cleaning, physical care if needed, driving, and other projects that either of us may need help with due to our pain and mobility issues. Darlene has been a real God-send to us, and has become a good, trusted friend to us as well. Brother Don has been so attentive and has been there for us continually by going to pick up groceries, taking Mom and me to appointments, etc. It’s great to have him so close by … less than five minutes away! We enjoy sharing meals and other family times with him, often two or three times a week. Sunday, November 30th, we finally were able to go to our church, and I was able to make it throughout the entire service (with a break to walk); but it was so good to be back in church with other believers again. While I still am dealing with post polio pain in my feet & legs, the back is doing much better than it was, and it’s good to get out some now. Thank you to all of you who have been praying faithfully for me. 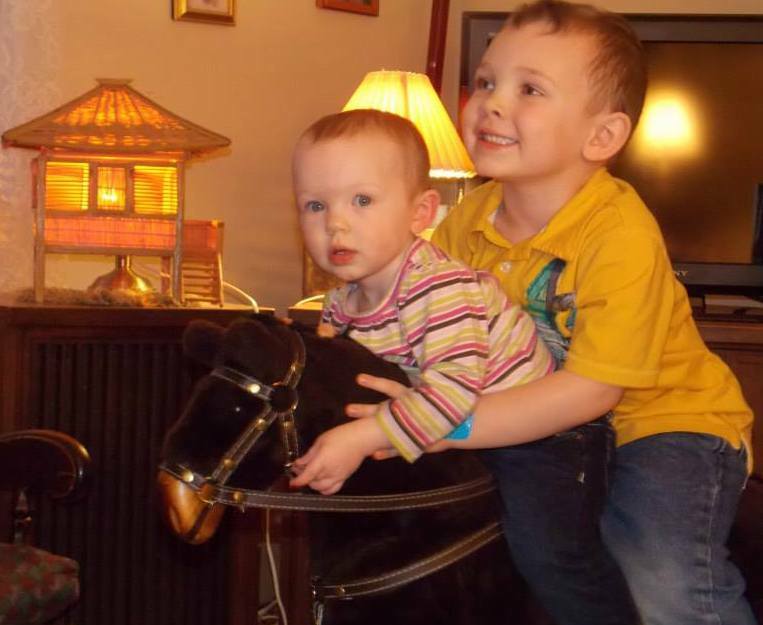 Our grandchildren provide us with such enjoyment … no, that is not a change at all! J But they are continually changing! Tristen is now 10, and is such a big girl, helping and playing with her siblings. She loves taking piano lessons, is quite gifted in karate, enjoys reading, and loves most of the things that pre-teen girls enjoy. Brogan is 4, and no longer the toddler… but a big boy! He loves Super Heroes, karate, playing games on his Kindle, as well as playing with his siblings and other friends. Quinn has changed so much in this year! She turned 1 in June, and walks, runs, and climbs, and is starting to talk. She loves playing with her siblings, and enjoys being a very active little girl! Speaking of ages, this year we surprised Mom with some special things for her 90th birthday. We had a card shower, and Sister Ruth contacted many of Mom’s friends– from nursing, church, relatives, missionaries, and other contacts. My part was to hide her cards as they came in the mail, until about one week ahead, when I started reading a few to her, so she wouldn’t suspect anything. The week of her birthday, I did a LOT of reading!! We’d hoped for at least 90 cards; she received over 110! J We had a family party for her on her actual birthday, Sept. 18th – with those who could make it – Don and Shaun & his family. Then on the 20th, we had an open house for Mom. Lots of friends dropped in to visit with Mom, to share cards, some gifts, lots of hugs, and enjoy some of the delicious cakes – a white cake & a Texas cake, made by our 13-year old friend from church – Rylie who is a prize-winner at fairs, and is beginning to earn money with her great talent of making and designing cakes. 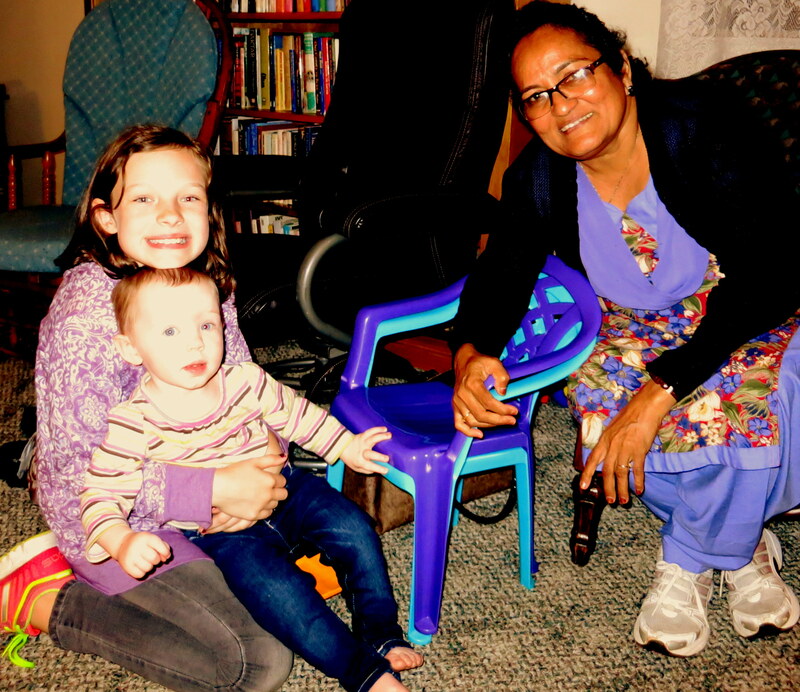 One huge treat was having our Indian sister, Kailas visit for about one week! I had worked out her agenda for her week stay in Ohio, but when she wasn’t busy going to spend time with other friends or meeting with others about her ministry, we had wonderful times of fellowship with her! Over the years, God has blessed us our home with many family and friends living with us for various amounts of times – months or years. Kailas was one of those who lived with us for a year, before heading to India. So people come and go, and as you know Mom moved in with us a year ago, and this year our older son and his wife moved from our basement apartment. 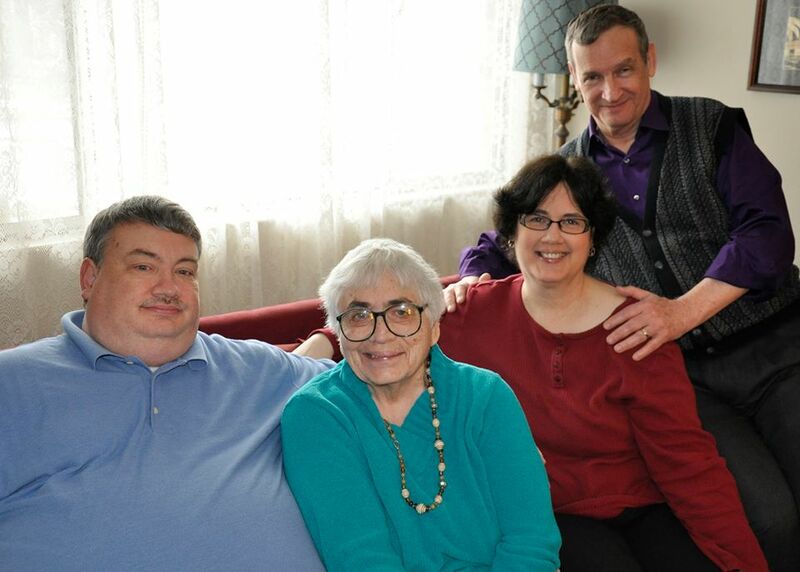 We look forward to having family together this Christmas – our Marci & husband Gary, as well as the rest of the family! Speaking of Marci – she has had an extremely busy year! While holding down two jobs – one with environmental concerns and one with teaching at a college, she was able to get her Master’s degree! Our son Shaun managed to get his Bachelor’s degree while being overseas on the last two of his three deployments, working to support his family, and more. His wife Melissa had been so supportive of Shaun as she ran the household; so it was only fitting that when he received his diploma that she be the one who went with him to spend an enjoyable couple of days together in Minnesota. One thing that has not changed is our interest in reading and studying. Mike has kept busy writing Bible studies, and he enjoys meeting with other men from church for a weekly Bible study. I have read more books since retiring – both to myself and to Mom. We really enjoy that special time together!